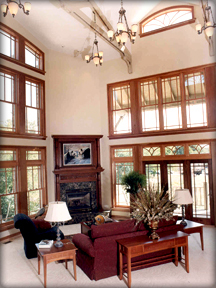 Homeowners throughout the region have come to rely on Bay Construction Services to provide high-quality and affordable glass solutions for virtually all interior and replacement needs. We carry full lines from many national manufacturers and provide unmatched installation experience for residential jobs of all sizes – from a single window to a major remodeling project. What will make the difference in your residential glass purchase? In-depth product knowledge and experience. We’ve built our reputation on making your glass installation fast, easy and efficient. Many of our expert technicians have been with Bay Construction Services for years, and have decades of experience in residential installations of all types. Choose a link from the menu on the left to learn more about Bay Construction's Residential Services.